The Smithsonian’s National Museum of African American History and Culture today announced that United Technologies Corp. and its subsidiary, Otis Elevator Co., will donate eight Otis escalators, valued at $2 million. 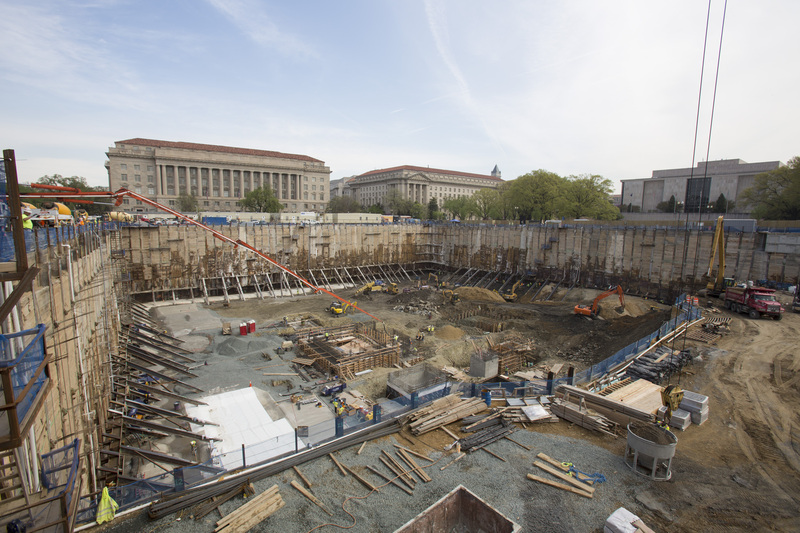 The museum is now under construction on the National Mall and scheduled to open in late 2015. As the primary vehicle for transporting visitors, the new Otis NCE escalator units will help the museum achieve its goal of becoming the first “green” building and the first Leadership in Energy and Environmental Design-certified museum on the National Mall. Otis NCE escalators use power-monitoring sensors and other advanced technology to sharply reduce energy consumption when compared to conventional escalators. “This gift from United Technologies is an important product donation to the museum,” said Lonnie Bunch, the museum’s founding director. “UTC and Otis have been integral to the history of innovation and manufacturing in our country, and the museum will be proud to transport our visitors with these energy-efficient escalators." United Technologies Corp., based in Hartford, Conn., is a diversified company providing high-technology products and services to the global aerospace and building industries. The National Museum of African American History and Culture was established by an Act of Congress in 2003 making it the 19th museum of the Smithsonian Institution. Scheduled for completion in 2015, it is under construction on the National Mall in Washington, D.C., on a five-acre tract adjacent to the Washington Monument. Currently, the museum is hosting public programs, assembling collections and presenting exhibitions at other museums across the country and at its own gallery at the Smithsonian’s National Museum of American History. Its current exhibition, “Changing America: The Emancipation Proclamation, 1863 and The March on Washington, 1963” explores the historical context of these two events, their accomplishments and limitations, and their impact on the generations that followed. It will remain open to the public through Sept. 15. For more information about the exhibition and the museum, visit the website at http://nmaahc.si.edu.